Support Life Net. 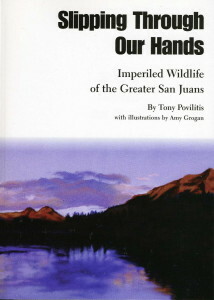 Buy Slipping Through Our Hands: Imperiled Wildlife of the Greater San Juans (paperback), by Dr. Tony Povilitis. Life Net Nature is a USA registered non-profit organization 501(c)(3). Thank you for supporting our work.